Sunrisers Hyderabad (SRH) has been one of the best teams in the Indian Premier League in recent times. They won the title in 2016, reached playoffs in 2017 and finished as runner-up in 2018. They are one of the sides who have concentrated on their bowling and that has brought them success. SRH has had an interesting trading season with Shikhar Dhawan being replaced by Vijay Shankar, Abhishek Sharma, and Shahbaz Nadeem. They have also let go of certain players like Wriddhiman Saha and Carlos Brathwaite. As a result, a few vacancies have opened up in the squad. However, SRH has retained a core set of players which can form a good squad. They would mainly need additional backups in the team. On that note, here's a well-balanced XI which Sunrisers Hyderabad should aim to play during the 2019 IPL. While the core is already with them, buying a few other players should help them continue their impressive performances. 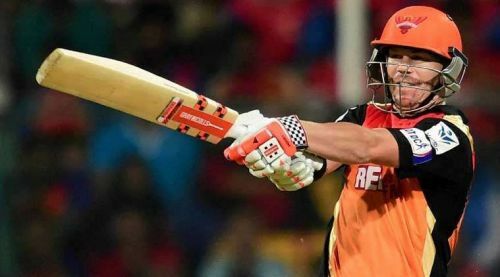 David Warner has been retained by SRH for the upcoming season and his comeback is highly anticipated. There is no clue about the form he is in and hence SRH may have to tackle tricky issues at the top. Hence, it would be wise if they buy suitable backups for him. Plenty of options such as Brendon McCullum and Martin Guptill are up for grabs. SRH need a wicket-keeper and they have Sreevats Goswami in their squad. He is a left-hander and can be more suitable in the anchor role. However, Williamson will automatically fit the anchor role and hence they could go for Naman Ojha at the top. He is available in the upcoming auction and a left-right combination at the top would be better. SRH can also try something different at the top by trying either of Yusuf Pathan or Rashid Khan along with Warner.